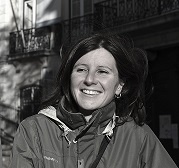 I received a Ph.D. in Population Biology and Ecology from the University of Montpellier 2 (France) in 2012 and I am currently a postdoctoral researcher working in the team “Adaptation in heterogeneous environments” within the Evolutionary Ecology Group of cE3c at the University of Lisbon. My research interests lie within evolutionary biology, especially host-symbiont interactions. I aim at addressing several issues ranging from host adaptation to symbionts to symbiont-mediated ecologically important traits, such as defense against parasites or pesticides resistance. During my PhD I investigated whether a natural Wolbachia infection can alter the quality of mosquitoes as vectors of malaria using a Wolbachia-mosquito-Plasmodium triad with a common evolutionary history. Presently, I am studying the interactions between the endosymbiontic bacterium Wolbachia and its host, the spider mite Tetranychus urticae. My current research is driven by four main objectives: i) address the factors affecting the diversity and prevalence of endosymbionts in natural populations of spider mites; ii) investigate the effect of the endosymbiont Wolbachia on spider-mite reproduction and mating strategies, as well as host adaptation to Wolbachia-induced reproductive manipulations; iii) determine the role played by Wolbachia in host speciation and reproductive interference by studying its interaction with host-associated reproductive incompatibilities; iv) investigate the consequences of the interaction between Wolbachia and pesticide resistance in spider mites. Zélé, F., Magalhães, S., Kéfi, S. & Duncan, A.B. (2018) Ecology and evolution of facilitation among symbionts: causes and consequences. Zélé, F., Santos-Matos, G., Figueiredo, A., Eira, C., Pinto, C., Laurentino, T.G., Sucena, E. & Magalhães, S. (2018) Spider mites escape bacterial infection by avoiding contaminated food.